Hurricane Matthew has been devastating for North Carolina. At the time of this, water’s still rising, the death toll is still ticking upward, and the energy companies are still struggling to restore power to many. When the waters do finally recede from this atrocity, folks will start assessing the damages and start to put their lives back together again. Among the damage, there will likely be lost important documents that need to be replaced. One of the things that may need to be replaced is your last will and testament. Here are some tips on keeping your will safe from future natural disasters. First, let’s talk about the safe deposit box, this is a place, a common place for folks to put their last will and testament, other important documents, things that they treasure. I typically advise against a safe deposit box unless you speak to the bank first. What I see commonly is we can’t find a will for a deceased person. We think it might be in the safe deposit box, but we either don’t have a key or don’t have legal access to enter the safe deposit box to look for the will. This can involve having the clerk of court coming down to the bank, through an appointment and having to set up a review of the safe deposit box. If we can’t find a key, we have to retain a driller to come drill the box. What this practically means for your loved ones is that it will cause substantial delay, sometime up to months of delay in administering your estate and seeing that your affairs are handled. Attorney’s will often store your will, many don’t charge for it. Make sure to ask your attorney, if you decide to go with this option about how they’re stored and what would happen if they ever shut down. Most are required to send you some kind of notice because you want to know what to expect if they ever shut down or move because you want to be able to keep up with where that document is currently at. The clerk of court, the clerks of court in North Carolina in all counties will store wills for safe keeping. This is a good option, normally they’re kept in a vault and it doesn’t cost anything to store your will there. If you do that and you move, you want to put that on your checklist to go get the document back. 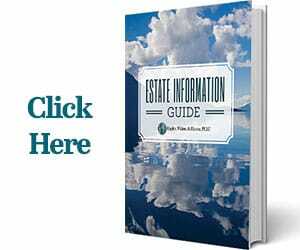 If you die in another county or are domiciled in another county at the time of your death, it’s very difficult to go back – sometimes we don’t know which county you lived in and where your will is stored. There’s not really a method of keeping up with that, so if you do move make sure you go back and get your document or tell somebody where it’s stored. Fireproof safes. This is probably the number one place where people keep their wills. Everyone seems to have one these days – maybe $30 to $50 in value – you can keep your stuff there, it should be safe. The one issue I would say is the warranty on those typically only cover the cost of the safe. So, if there is actual damage suffered as a result of your will being lost, people are left without inheritance they were supposed to get, or other damages – that’s usually not something that’s going to be covered by the warranty on the safe. So, you want to search around, look online, search for good reviews – find a good safe that has a good reputation for withstanding damage or withstanding fire. Now what happens if your will is burned in a fire? Well, the presumption in North Carolina is that if your will cannot be found, it is presumed to be intentionally destroyed by you – it would not be valid. We can sometimes probate a copy, but we have to have a hearing. We have to prove that you didn’t intentionally destroy your will. So, if you’re burned in a house fire and your belongings are burned, usually we can prove that the fire caused the burning of the will and we may be able to probate a copy. This does require a hearing, it does require evidence to be put on – it’s usually far better though to avoid that hearing and take measures to make sure your will is safe.